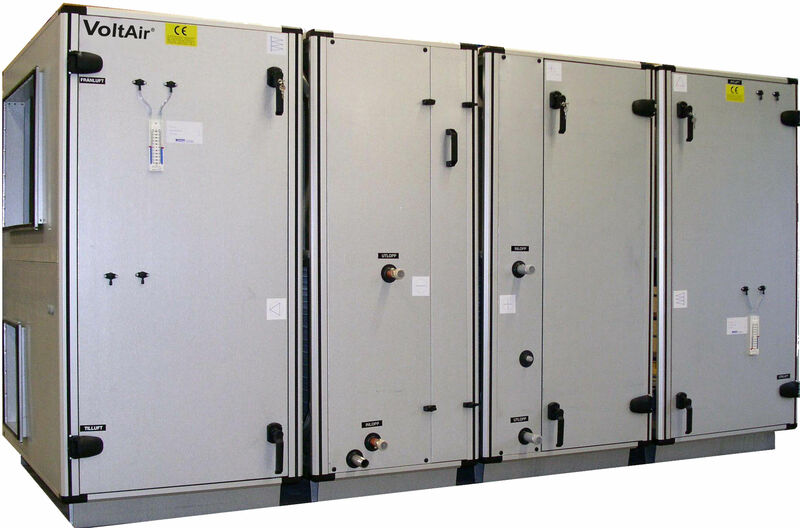 WLR is a modular unit equipped with a rotary heat exchanger. The modular design offers great flexibility when it comes to choosing functions. WLR units deliver high performance in terms of good thermal recovery and low energy usage, all enabled by highly efficient rotary heat exchangers and fan motors with EC technology. With integrated controllers as an option, the WLR series is a turnkey solution that is both cost and energy efficient. WLR is available as a modular or turnkey unit. Even turnkey units can be easily dismantled into modules after delivery to simplify transport. WLR is well suited to most applications where high thermal recovery and low energy usage are important considerations. WLR units are available for installation indoors, outdoors or with extenders for a downwards warm-side duct connection, through the rooftop. The latter option includes a foundation frame that is normally delivered 2 weeks before the unit to facilitate installation. Relevant documentation for the WLR series can be found here.